The Swag. As our guests entered, they were greeted with salesforce.com socks complete with clouds and the Salesforce Women in Tech mascot, WITBot. Once inside, they received Force.com App Development guides, and t-shirts and hoodies courtesy of our DevMarketing team! Best of all? 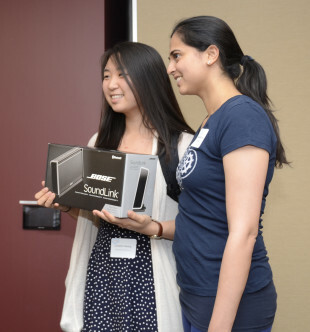 One lucky raffle participant won Bose speakers! 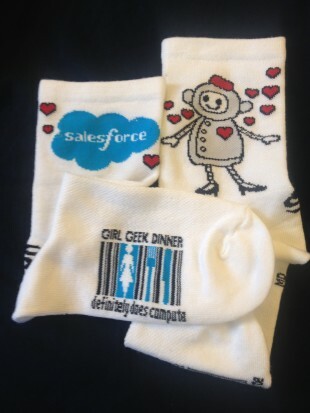 All attendees received these socks complete with the GGD logo, the cloud, and WITBot! Networking. 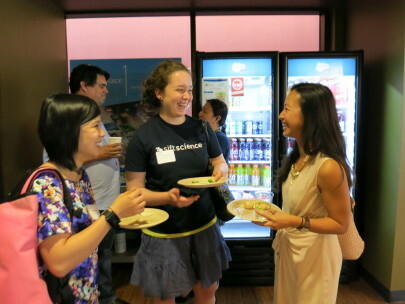 The first part of the evening was networking and lots of food! 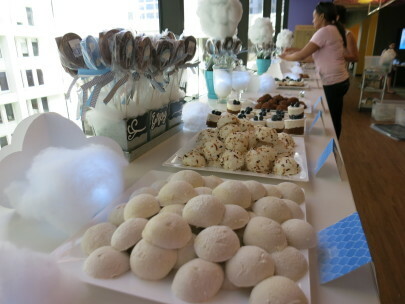 Volunteers and attendees had a chance to mingle and munch on some amazing My Oh My Marshmallows. Beautiful display done by My Oh My Marshmallows. Attendees mingling before the event. Ali Bickel, organizer of the event, making sure her guests are enjoying themselves! Parker Harris. Salesforce.com co-founder, Parker Harris, gave the keynote and welcomed all attendees. Most exciting part about his talk? He is making recruitment of women one of his top priorities! Salesforce.com co-founder, Parker Harris, gave the keynote to kick off the evening. Guest of Honor. 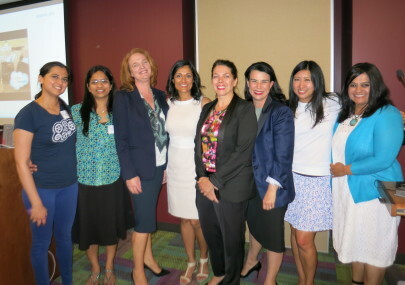 Rajani Ramanathan, long time executive at salesforce.com who recently decided to follow her personal goals of traveling and exploring new opportunities, has always been passionate about getting more women in technology. She returned to participate in this event! 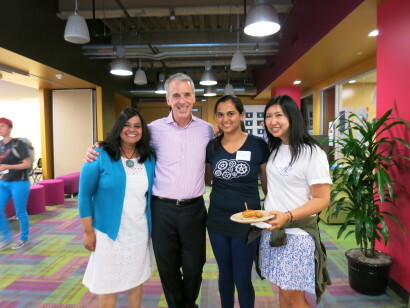 Guest of Honor, Rajani Ramanathan and salesforce.com co-founder, Parker Harris, pose for a picture with Bay Area Girl Geek Dinner Managing Director, Sukrutha Raman Bhadouria, and founder, Annie Chang. UI Testing Made Consistent through WebDriver. Srirama Koneru presented on switching over to Webdriver and how it has increased productivity and testing effectiveness. 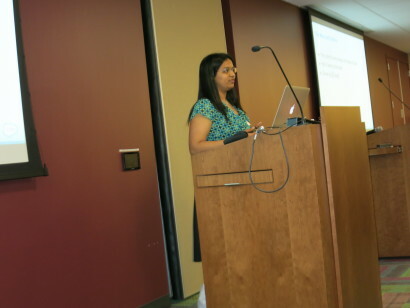 Srirama Koneru gave the first lightning talk. Common Myths about Technical Management. Josie Gillan debunked myths that are associated with being in technical management. Josie Gillan breaking down the myths around being a technical manager. Agile at Salesforce. 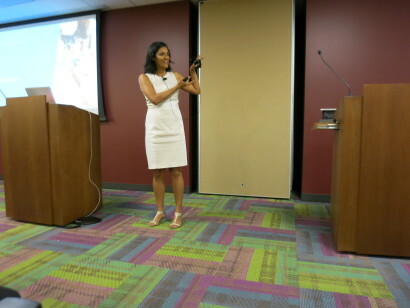 Anjali Joshi discussed how salesforce.com has implemented agile through Adaptive Delivery Methodology, ADM.
Anjali Joshi described salesforce.com’s agile culture. 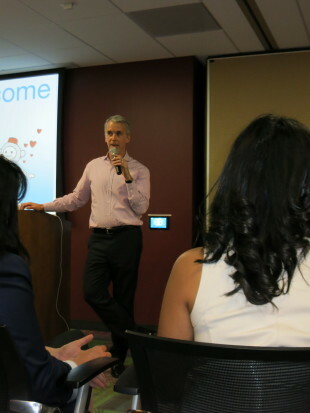 5 Reasons to Be a Product Manager. 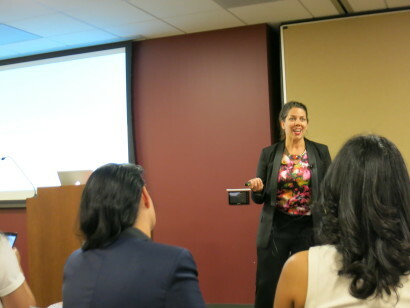 Shawna Wolverton gave 5 reasons why you should pursue a career as a product manager. 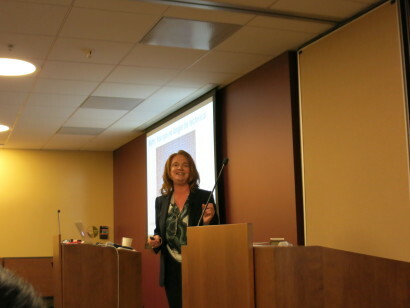 Shawna Wolverton captured the audience’s attention with her 5 reasons to be a Product Manager. Doing Good While Doing Well. Cheryl Porro described salesforce.com’s foundation model. Cheryl Porro shared her passion about the foundation model. Demos. There were demos throughout the floor including: How Salesforce.com Maintains Code Quality with Test Automation and Yoda, Salesforce1 Mobile App & Platform, How to Build Apps with the Salesforce1 Platform, and How Chatter Improved Collaboration. 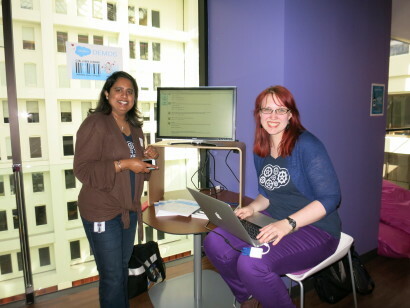 Reena Mathew and Carolyn Grabill led one of the demo stations. Attendees enjoyed the demo stations provided by the DeveloperForce Team. Overall, it was a great event and we were able to meet some amazing women. 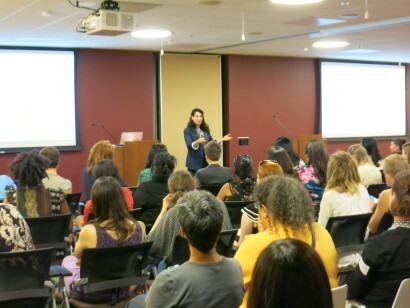 If you attended the Bay Area Girl Geek Dinner, what was your favorite part? Tell us in the comments below! 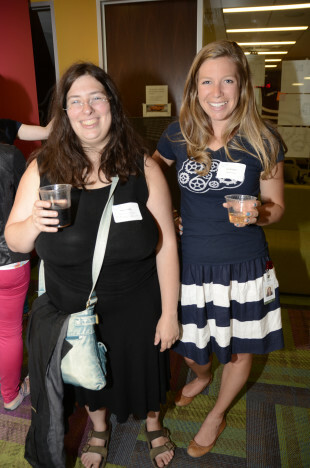 If you are interested in sponsoring a Girl Geek Dinner visit the Bay Area Girl Geek Dinner website. Want more pictures and favorite memories of the event? Check out the event’s tweets. Quality Engineers and Developers… Can’t we all just get along?